Abstract: This paper is an overview of fuzzy set hypothesis connected in group examination. These fluffy grouping calculations have been broadly contemplated and connected in an assortment of substantive territories. They likewise turn into the real systems in group investigation. In this paper, we give a study of fuzzy grouping in three classifications. The main classification is the fuzzy grouping in view of fluffy connection. The second one is the fuzzy bunching in view of target work. At last, we give a diagram of a nonparametric classifier. That is the fuzzy summed up k-nearest neighbor run the show. Picture division particularly fuzzy based picture division systems are generally utilized due to powerful division execution. Therefore, an immense number of calculations are proposed in the writing. This paper shows a review report of various kinds of traditional fuzzy grouping methods which accessible in the writing. Keywords: Clustering, FCM, K-Means, Matlab, Fuzzy Clustering, Image Segmentation. A. Devijver and J. Kitttler, Pattern Recognition: A Statistical Approach, Prentice-Hall, Englewood Cliffs,NJ, (1982). Jain, M. N. Murty and P. J. Flynn, “Data Clustering: A review”, ACM Computing Surveys, vol. 31, no. 3, 1999. Shaeela Ayesha, Tasleem Mustafa, Ahsan Raza Sattar & M. Inayat Khan, “Data Mining Model for Higher Education System “, European Journal of Scientific Research, ISSN 1450-216XVol.43 No.1 ,2010, pp.27. Makhalova Elena, “Fuzzy C Means Clustering In Matlab”, The 7th International Days of Statistics and Economics, Prague September 19-21, 2013,pp. 905-914 . Asuncion and D. J. Newman, UCI Machine Learning Repository Irvine, CA: University of California, School of Information and Computer Science, 2013.
l Har-Peled and B. Sadri, "How fast is the k-means Method," in ACM-SIAM Symposium on Discrete Algorithms, Vancouver, 2005. Rui and J. M. C. Sousa, “Comparison of fuzzy clustering algorithms for Classification”, International Symposium on Evolving Fuzzy Systems, 2006 , pp. 112-117. Soumi Ghosh and Sanjay Kumar Dubey, “Comparative Analysis of K-Means and Fuzzy C-Means Algorithms”, IJACSA, Vol. 4, No.4, 2013, 35-39. Abstract: Telecommunications services square measure the foremost necessary parts within the new information society. Information and Communication Technologies (ICTs) represent a major challenge in terms of productivity, growth and jobs. Ethiopia is a land of cultural diversity. It is the part of tropical region of Sahara and Sub-Sahara continent. Eighty percent of the population in Ethiopia is living in remote and rural areas, where there is a very little basic facilities are available for daily needs. Ethiopia is the part of African Union and situated at east Africa and referred as horn of Africa. The AU and its Member country should quickly adopt rapidly-developing ICT so as to bridge the e-skills gap and be in a very position to form a true knowledge-based economy. The beginning of the telecommunications market to competition had the impact of a catalyst in a various sector formerly reserved oligopolies. To enhance these developments, the Africa union decision-making authorities have adopted legislation to synchronize with technological and current market requirements. Keywords: Africa Union, Information Communication Technologies, Knowledge Economy. Lynton, E. (1989), Higher Education and American Competitiveness, National Center on Education and the Economy. Resnick, L. (1987), Education and Learning to Think, Washington DC, National Academy Press. Nickerson, R.S. (1988), 'On improving thinking through instruction', Review of Research in Education, 15, 3-57. Bransford, J., Goldman, S.R. and Vye, N.J. (1991), 'Making a difference in peoples' abilities to think: reflections on a decade of work and some hopes for the future' in Okagaki, L. and Sternberg, R.J. (eds), Directors of Development: Influences on Children (pp. 147-80), Hillsdale NJ, Lawrence Erlbaum. C ollins, A., Brown, J.S. and Holum, A. (1991), 'Cognitive apprenticeship: making thinking visible', American Educator (Winter), 6-11, 38-46. Clark, R.E. and Voogel, A. (1985). 'Transfer of training principles for instructional design', Educational Communication and Technology Journal, 33 (2), 113-25. Dunlap, J.C. and Grabinger, R.S. (1992), 'Designing computer-supported intentional learning environments', paper presented at the Annual Conference of the Association for the Development of Computer-Based Instructional Systems, Norfolk VA.
Dunlap, J.C. and Grabinger, R.S. (1993), 'Computer-supported intentional learning environments: definition and examples', paper presented at the Annual Conference of the Association for Educational Communications and Technology, New Orleans LA. Scardamalia, M., Bereiter, C., McLean, R.S., Swallow, J. and Woodruff, E. (1989), 'Computer-supported intentional learning environments', Journal of Educational Computing Research, 5 (1), 51-68. Von Wright, J. (1992), 'Reflections on reflection', Learning and Instruction, 2, 59-68. Abstract: The laser fields are very wide and advance for the coming optical generations. Fiber lasers are worth to play a vital role in the upcoming new uprising of science due to their role in experimental operations and to their strong experimental arrangement for any starter. Different categories of optical laser found for widespread use such as Erbium Doped Fibre laser (EDFL), Ytterbium Doped Fibre Laser (YDFL). We consider about EDFL and YDFL which are made by doping the fibre core with rare-earth elements of Erbium and Ytterbium respectively. The system has been designed to analyze the gain and pump power and output power dependence of the optical laser EDFL and YDFL for various fiber lengths. The output power of YDFL in ring resonator is 40mW and in linear resonator is 25mW, which is better than EDFL which gives 20mW in ring and 10mW in linear. The YDFL gives better output power then EDFL. Ring resonator is better than linear resonator. Pedro João, Costa Nelson. Optimized hybrid Raman/EDFA amplifier placement for DWDM mesh networks. J Light Wave Technol, IEEE 2018;36:1552–61. Barth Ido, Fisch Nathaniel J. Multifrequency Raman amplifiers. Phys Rev E 2018;97:1–6. Zhou Peng, Zhan Wenhui, Mukaikubo Masaru, Nakano Yoshiaki, Tanemura Takuo. Reflective semiconductor optical amplifier with segmented electrodes for high-speed self-seeded colorless transmitter. Opt Exp 2017; 25:28547–55. Curran, G.L. and Engelken, D.J. (1990) Ring Laser Gyro Applications for Tactical Missiles: The Army TACMS Solution. Position Location and Navigation Symposium, IEEE PLANS ‘90, IEEE Digital Object Identifier, 543-548. Canales, P., Meshal, A., Ricklin, J. and Vallestero, N. (1990) Bandwidth Enhancements for the Army Network through Laser. Aerospace Conference. 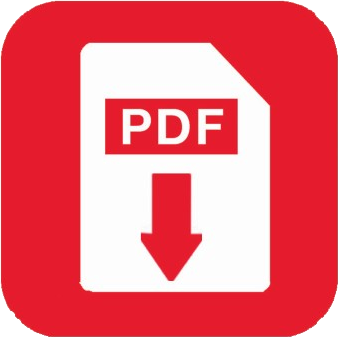 2004 IEEE Volume: 3 Digital Object Identifier. Abstract: In any fibre optic communication systems the transmission distance is limited by the fibre losses. The recent approach to overcome the loss limitation is the use of optical amplifiers which ensures the accomplishment of fibre optic communication systems for long distances efficiently. Different categories of optical amplifiers found for widespread use such as Erbium Doped Fibre Amplifier (EDFA)], Ytterbium Doped Fibre Amplifier (YDFA). We consider about EDFA and YDFA which are made by doping the fibre core with rare-earth elements of Erbium and Ytterbium respectively. The gain of EDFA is 10dB, 15dB, 20dB and 25dB with fiber length at 5m, 7.5m, 10m and 12.5 m respectively and the gain of YDFA is 15dB, 20dB, 30dB and 30dB with fiber length at 0.5m, 0.75m, 1.0m and 1.25 m respectively. Amplifier performance improves with increase with fiber length. Keywords: Fiber Length, Gain, Output Power, EDFA and YDFA. Barth Ido, Fisch Nathaniel J. Multi frequency Raman amplifiers. Phys Rev E2018;97:1–6. Zhou Peng, Zhan Wenhui, Mukaikubo Masaru, Nakano Yoshiaki, Tanemura Takuo. Reflective semiconductor optical amplifier with segmented electrodes for high-speed self-seeded colorless transmitter. Opt Exp 2017;25:28547–55. Jauregui Cesar, Otto Hans-Jürgen, Breitkopf Sven, Limpert J, Tünnermann A. Optimizing high-power Yb-doped fiber amplifier systems in the presence of transverse mode instabilities. Opt Exp 2016;24:7879–92. TangaYufei, Wua Cong, Songb Yuan, ZhengbYuanlin, Zhaoa Kang. Synthesis and luminescence properties of Er-doped and Er/Yb-codoped CoAl2O4 pigments. J Alloys Compd 2009;478:676–8. Rahmanad MFA, Latiffce AA, ZaidibUZM, Rusdia MFM, Rosola AHA, Bushroab AR, Dimyatia K, Haruna SW. Q-switched and mode-locked thulium-doped fiber laser withpure Antimony film Saturable absorber. Opt Commun 2018;421:99–104. Vigneswaran D, Ayyanar N, Sumathi M, Rajan MS. Tunable differential modal gain in FM-EDFA system using dual pumping scheme at 100 Gbps system capacity. JPhotonic Network Commun 2017;34:451–60. Abstract: The Large displacement comb actuators at low actuation voltage should employ large number of comb fingers, reduced distance between the combs and by increasing the width of the fingers. Polysilicon has been the dominant mechanical materials for MEMS fabrication (PDF) MEMS Electrostatic comb actuators with a novel trapezium comb shape produces less actuation voltage then regular rectangular shape. Keywords: Actuator, shaped Comb Drive, Capacitance. 1. J. Verona, E. Saenz, S. Fiscal- Woodhouse, A.A. Hamoui, “ Design and fabrication of a novel microgripper based on electrostatic actuation”, 52nd IEEE International Midwest Symposium on Circuits and Systems MWSCAS '09, Cancun, Mexico, pp. 827-832, 02-05 August 2009. 2. W. Dai, K. Lian and W. Wang, “Design and fabrication of a SU-8 based electrostatic microactuator”, Microsyst. Technol., vol. 13, pp. 271-277, February 2007. 3. T. Trutna and S. Awtar, “An Enhanced Stability Model for Electrostatic Comb-Drive Actuator Design”, Proceedings of the 34-th Annual Mechanisms and Robotics Conference, Montreal, Canada, pp. 597-605, 15-18 August 2010. 4. W. Dai and W. Wang, “Fabrication of comb-drive microactuators based on UV lithography of SU-8 and electroless plating technique”, Microsyst. Technol., vol. 14, pp.1745- 1750, October 2008. 5. B.J. Jensen, S. Mutlu, S. Miller, K. Kurubayashi and J.J. Allen, “Shaped comb fingers for tailored electromechanical restoring force”, J. Microelectromech. Syst., vol. 12, pp. 373–383, June 2003. 6. T. Zao, “New actuation method for push-pull electrostatic MEMS comb drive”, IEEE Transactions on Industrial Electronics, vol. 50, pp. 1337-1339, December 2003. 7. K. Takahashi, E. Bulgan, Y. Kanamori and K. Hane, “Submicrometer Comb-Drive Actuators Fabricated on Thin Single Crystalline Silicon Layer”, IEEE Transactions on Industrial Electronics, vol. 56, pp. 991-995, April 2009. 8. G. Li and N.R. Aluru, “Efficient Mixed-Domain Analysis of Electrostatic MEMS”, IEEE Transactions on Computer Aided Design of Integrated Circuits and Systems, vol.22, pp. 1228- 1242, September 2003. 9. T. Hirano, T. Furuhata, K.J. Gabriel and H. Fujita, “Design, fabrication, and operation of submicron gap comb-drive microactuators”, IEEE J. MEMS, vol. 1, pp. 52–59, March 1992. 10. Lee, K.B. ; Lin, L.; Cho, Y.-H., “A closed-form approach for frequency tunable comb resonators with curved finger contour”, Sensor Actuators A, vol. 141, pp. 523–529, February 2008. 11. I.P.F. Harouche, C. Shafai and R. Gordon, “Design and Simulation of a Microtweezers using a Controlled Displacement Comb Drive”, Proceedings of the Canadian Conference on Electrical and Computer Engineering CCECE ‘06, Ottawa, Canada, pp. 341 – 343, 07-10 May 2006. 12. D.A. Koester, R. Mahadevan, B. Hardy and K.W. Markus, “MUMPs Design Handbook”, Revision 7.0, Cronos Integrated Microsystems, Research Triangle Park, NC, USA, 2001. 13. Mechanical Properties of MEMS Materials, Johns Hopkins University, available from: http://titan.me.jhu.edu/~sharpe/Data_Aug16.pdf, 2001. 14. W.C. Tang, M.G. Lim and R.T. Howe, “Electrostatic-comb drive levitation and control method”, J. Microelectromech. Syst., vol. 1, pp. 170–178, December 1992. 15. E.T. Carlen, K-H. Heng, S. Bakshi, A. Pareek and C.H. Mastrangelo, “High aspect ratio vertical comb-drive actuator with small self- aligned finger gaps”, Journal of MEMS, vol. 14, pp. 1144-1155, October 2005. 16. I.P.F. Harouche and C. Shafai, “Simulation of shaped comb drive as a stepped actuator for microtweezers application”, Sensors and Actuators A, vol. 123–124, pp. 540–546, September 2005. Abstract: The laser fields are very wide and advance for the coming optical generations. Fibre lasers are worth to play a vital role in the upcoming new uprising of science due to their role in experimental operations and to their strong experimental arrangement for any starter. Different categories of optical laser found for widespread use such as Erbium Doped Fibre laser (EDFL), Ytterbium Doped Fibre Laser (YDFL). We consider about EDFL and YDFL which are made by doping the fibre core with rare-earth elements of Erbium and Ytterbium respectively. 1. Lei Hou, Hongyu Guo, Yonggang Wang, Jiang Sun, Qimeng Lin Yang Bai and Jintao Bai, “Sub-200 femtosecond dispersion-managed soliton ytterbium-doped fiber laser based on carbon nanotubes saturable absorber”, OPTICS EXPRESS journal, Vol. 26, No. 7, 2 Apr 2018 . 3. Songzhe Piao, Yue Wang, Young Ju Lee, Seungsoo Hong, Yoonchan Jeong, Seung-June Oh “The In Vivo Effect of Ytterbium-Doped Fiber Laser on Rat Buccal Mucosa as a Simulation of Its Effect on the Urinary Tract: A Preclinical Histopathological Evaluation” Int Neurourol J, vol 21, 2017. 5. Wenjun Liu, , Lihui Pang, Hainian Han1, Wenlong Tian, Hao Chen, Ming Lei, Peiguang Yan & Zhiyi Wei1 “70-fs mode-locked erbiumdoped fiber laser with topological insulator”Sensors Scientific Reports, 2016 . 6. N.F.RazakaH. AhmadbM.Z. ZulkiflibF.D. MuhammadbY. MunajataS.W. Harun “Single mode EDF fiber laser using an ultra-narrow bandwidth tunable optical filter”, Optik - International Journal for Light and Electron Optics, Volume 126, Issue 2, January 2015, Pages 179-183. 9. Zhengqian Luo, Yizhong Huang, Jian Weng, Huihui Cheng, Zhiqin Lin, Zhiping Cai and Huiying Xu “06 μm Q-switched ytterbium-doped fiber laser using few-layer topological insulator Bi2Se3 as a saturable absorber”, journal of physics optics, 2013. 10. Zhengqian Luo, Yizhong Huang, JianWeng, Huihui Cheng, Zhiqing Lin, Bin Xu, Zhiping Cai, and Huiying Xu “1.06mm Q-switched ytterbium-doped fiber laser using few-layer topological insulator Bi2Se3 as a saturable absorber”. Optical Society of America. 2013. 11. H. Ahmada, R. Parvizia, K. Dimyatib, M. R. Tamjisb, and S. W. Harun “FWMBased MultiWavelength ErbiumDoped Fiber Laser Using BiEDF”, Laser Physics, 2010, Vol. 20, No. 6, pp. 1414–1417. 13. M. R. A. Moghaddam S. W. Harun M. C. Paul M. Pal A. Dhar R. Sen S. Das S. K. Bhadra H. Ahmad; “Multiwavelength ytterbium‐doped fiber ring laser” Published online in Wiley Inter Science, 2009. 14. Nilton Haramoni, Aleksander S. Paterno and Hypolito J. Kalinowski “Mechanically Tuned EDF Laser for Interrogation of Multiplexed Fiber Bragg Grating Sensors” Journal of Microwaves and Optoelectronics, Vol. 6, No. 1, June 2007. Abstract: Optical intensifiers are ordered in light of the system that is fused for enhancement of the flag. Optical amplifiers are helpful in long separation correspondence that requires least weakening misfortune. This datasheet will expand on the development, working guideline and the uses of the different kinds of optical amplifiers. Doped fiber amplifiers (DFAs) are optical amplifiers that use a doped optical fiber as a gain medium to amplify an optical signal. They are related to fiber lasers. The signal to be amplified and a pump laser are multiplexed into the doped fiber, and the signal is amplified through interaction with the doping ions. Anu Sheetal, Harjit Singh “Comparative Analysis of 32×10Gb/s DWDM system using Raman-EDFA and YDFA-EDFA at Different Channel Spacing”, International Journal of Electronics Engineering Research. ISSN 0975-6450 Volume 9, Number 3 (2017) pp. 343-352. Tolga Küçükarslan, N. Özlem Ünverdi, “GAIN ANALYSIS OF ERBIUM AND YTTERBIUM DOPED OPTICAL FIBER AMPLIFIERS”, 012 IEEE, 2012. C. Becker, N.A. Olsson and J.R. Simpson,” Erbium-Doped Fiber Amplifiers: Fundamentals and Technology”, Academic Press, New York, 1999. Abstract: In this paper a three phase 6-pulse convertor model is designed. The Synchronized 6-Pulse Generator block can be used to fire the six diode of a six-pulse converter. The output of the block is a vector of six pulses individually synchronized on the six diode voltages. DIODE, MOSFET and THYRISTOR are used as a controlled rectifier which reduces the total harmonics distortion in output current and voltage. Tanga Yufei, Wua Cong, Songb Yuan, Zhengb Yuanlin, Zhaoa Kang. Synthesis and luminescence properties of Er-doped and Er/Yb-codoped CoAl2O4 pigments. J Alloys Compd 2009;478:676–8. Rahmanad MFA, Latiffce AA, Zaidib UZM, Rusdia MFM, Rosola AHA, Bushroab AR, Dimyatia K, Haruna SW. Q-switched and mode-locked thulium-doped fiber laser with pure Antimony film Saturable absorber. Opt Commun 2018;421:99–104. Vigneswaran D, Ayyanar N, Sumathi M, Rajan MS. Tunable differential modal gain in FM-EDFA system using dual pumping scheme at 100 Gbps system capacity. J Photonic Network Commun 2017;34:451–60. Abstract: In this paper Power electronic converters are switch-mode circuits that process power between two electrical systems using power semiconductor switches. The electrical systems can be either DC or AC. Therefore, there are four possible types of converters; namely DC/DC, DC to AC, AC to DC, and AC to AC. Hemant Kumar, Devesh Kumar, Nitin Kumar Saxena, “Verification of Three Phase Full Wave Controlled Rectifier using MATLAB Simulation Model” Journal of Analog and Digital Devices Volume 2 Issue 1, 2018. 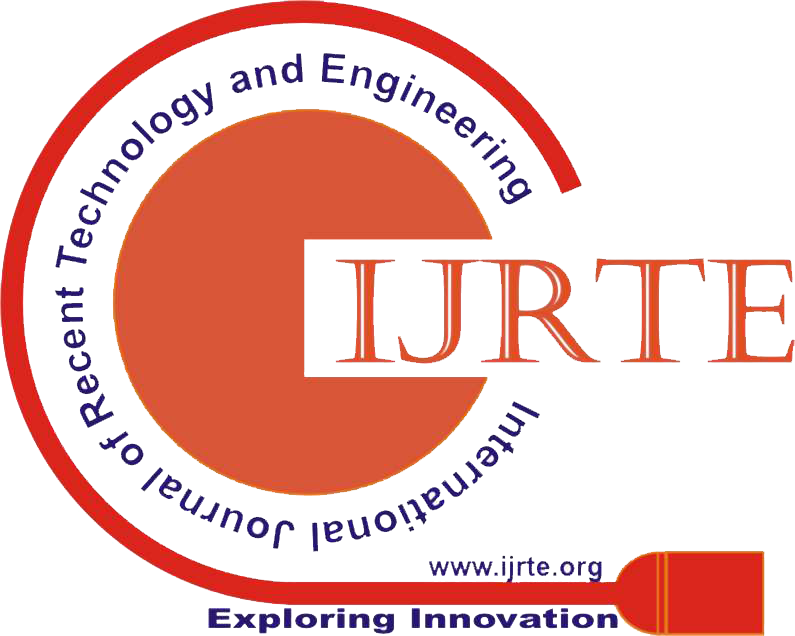 Anand K Pandey , Ritesh Kumar Rai, “Modeling and Simulation Of Single Phase Cycloconvertor”, International Journal of Emerging Technologies and Engineering (IJETE) Volume 4 Issue 5, May 2017, ISSN 2348 – 8050. Neha, Nisha “Modelling and simulation of multipulse method using diode and thyristor bridge rectifier in matlab and simulink”. International Journal of Engineering Sciences & Research Technology 2017;25:28547–55. Pylarinos, I. Androulidakis, K. Siderakis and E. Drakakis “A MATLAB/SIMULINK Approach for a First Course in Power Electronics”, Journal of Engineering Science and Technology Review 9 (5) (2016) 56 – 60. Anand Panchbhai ; Hiren Shah ; Najma Nizami, “Analog control of closed loop 24 pulse rectifier (simulation and hardware)”, IEEE Conference on Energy Conversion (CENCON), 2015. Sasikumara , S. Chenthur Pandian, “Modified Bidi rectional AC / D C Power Converter with Power Factor Correct on”, IJE TRANSACTIONS B: Appllications Vol. 25 , N o. 3 , (August 2 012 ) 175-180. Sudeep Pyakuryal , Mohammad Matin, “Implementation of AC to DC converter Using Thyristor in ATP”, IOSR Journal of Engineering (IOSRJEN), Volume 2, Issue 11 (November2012), PP 06-11.